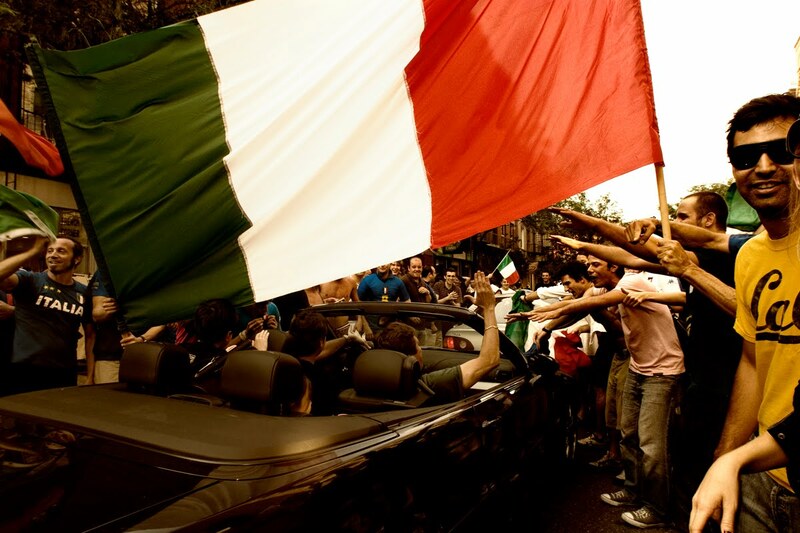 When I think about Italian food I think about home, family, friends, sun, holidays, celebrations and traditions. Not really much to do with the food in itself, believe it or not, but much more to do with everything else that a true Italian, like myself, would associate with food; first and foremost: love! It’s not easy to find true Italian culinary tradition around the world. Excellent, for sure, at times, but really not truly Italian. A lot of sauces (such as the famous “Alfredo”) don’t even exist in real Italian cuisine. I love the adaptation of Italian food, though. I don’t get upset, mad or irritated, as some snobbish fellow countrymen and women would do. I am actually flattered by the incredible quantity of love and appreciation for Italian food all over the world, to the point of reinventing it, making sure that every palate, tradition, costume, language and descendant will experience it, in their own way. When I think of Italian food, I also think about simple, organic, hand made ingredients. Tomatoes, flour, wine, vegetables (often overcooked in real Italian tradition), meat, poultry, olive oil, salt, and pepper are what produce the most tasty and elaborated end results. True Italian food is simple in its ingredients yet complex in its creation. It builds up in the mastery of chefs and cooks, and is mainly about the combination of flavours, right cooking times, specific cooking styles and excellent raw material. Pasta must “al dente”; meat has to be roasted, boiled or slowly cooked adding tomatoes, wine, rosemary, mint and salvia (according to the regional preferences). Vegetables, as already mentioned, if not for the traditional salad, have to be overcooked and often re-fried in the pan adding garlic, olive oil, and chilli. Vinegar is to give power to many different things: salads, fruit (strawberries), beef and other types of gently cooked meat. Garlic is a Mediterranean signature, but in Italy you sprinkle it on your bread (bruschetta), you use it for some pasta sauces or you add it to cook your vegetables, never to be chewed and swallowed but only to give that specific aroma. Fish is really appreciated only if fresh. It’s very strong in the regional or local cuisine of the costal areas. Boiled with a touch of olive oil and salt, deep-fried, roasted or as condiment for pasta such as linguine, spaghetti and fettuccine. You can attempt to cook these Italian dishes at home, or you can leave it to the experts, and there are plenty to choose form in London. Forget about Carluccio’s, Bella Italia, and Strada; for true Italian food in London, try one of these restaurants. 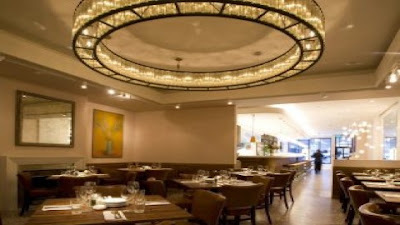 Ciao Bella, in Bloomsbury, is excellent for the mildly retro atmosphere, the agnello alle castagne (lamb with chestnuts) and the “asparagi alla menta” (asparagus with mint). Bocca di Lupo, in Soho, is where I have found dishes that are difficult to find in Italy itself, such as Carciofi alla giudia (artichokes as they make in Rome) and Parmigiana di melanzane (aubergine bake). The prices are medium and the flavours are incredible. It is true Italian food in a restaurant with a modern, elegant décor. 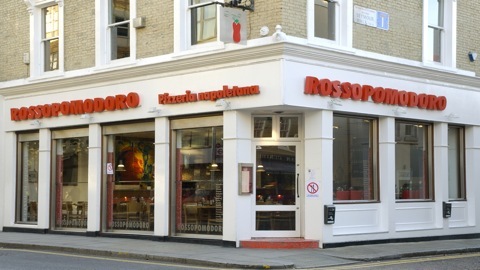 To eat an excellent pizza, baked in true Neapolitan tradition, I suggest Rossopomodoro, the Fulham branch. 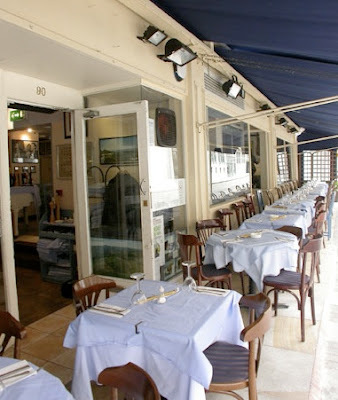 Oddly enough, in Italy, these restaurants are really not considered a good deal, but in London they are great (only three venues at the moment). The staff are all Italian and, as mentioned, although a bit on the expensive side, pizza is the real stuff. Made on the spot, without using measuring cups or toppings which include fruit or a strange ensemble of meats and spicy salami. Flag image courtesy of Flickr user Ali Brohi. Brixton’s Big New Nightclub: Is It Ready?